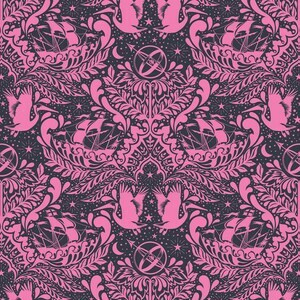 New from Hoffman, this Digitally Printed fabric panel if the planet Earth is GOREGEOUS! 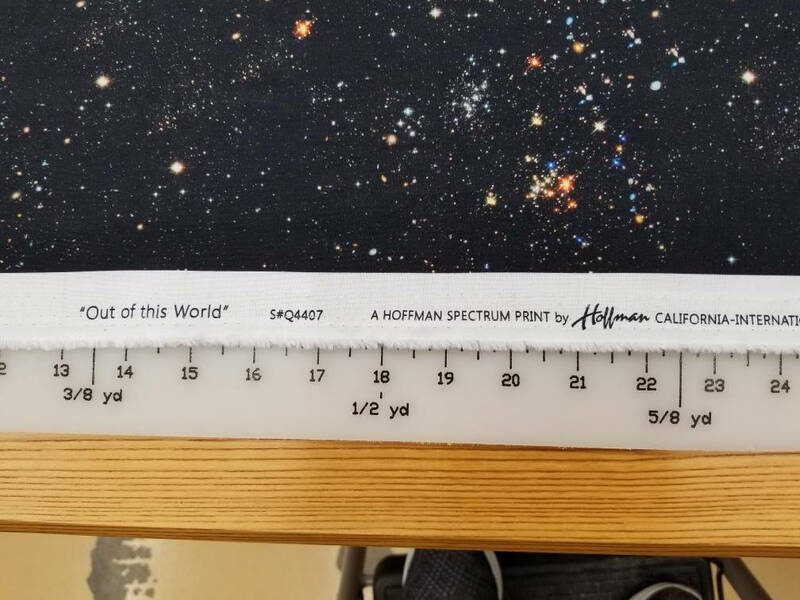 Digitally printed means they can get more colors, finer detail, and photo realistic images on fabric; but this new technology means the fabrics are more expensive. Panel is aprox. 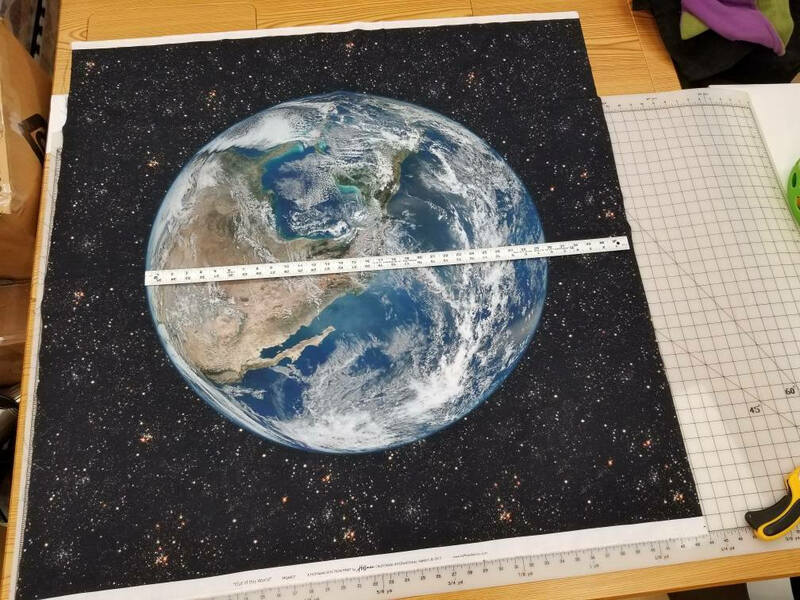 43" tall x 44" wide , 100% woven cotton. 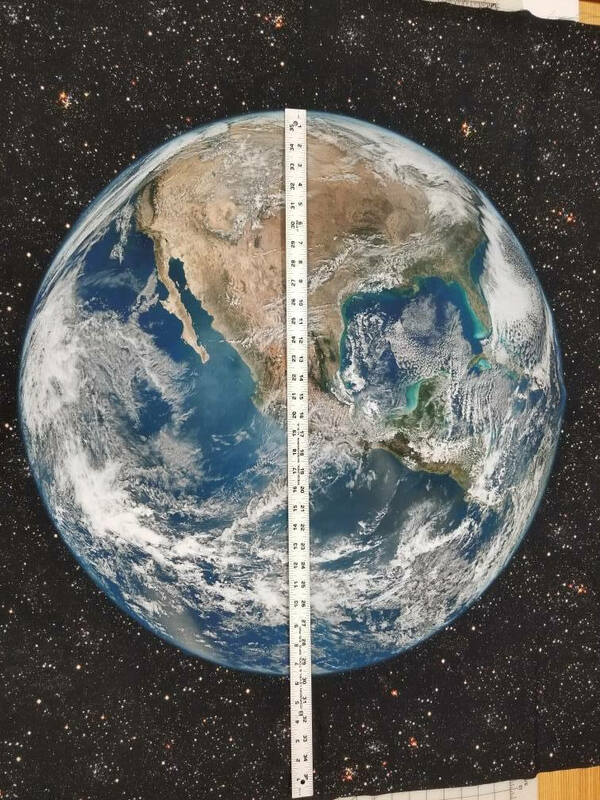 The Earth itself is not quite 30". 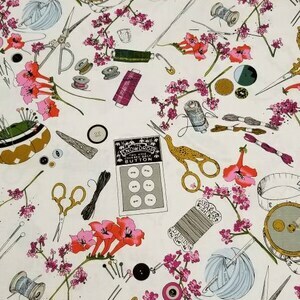 I'd love to see a circle skirt made out of this!